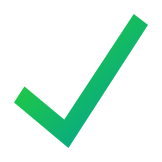 A freelancing platform that intends to utilize both centralized and decentralized architechture. Seems overcomplicating what should be a simple job seeking website, however the concept could be proven over time. 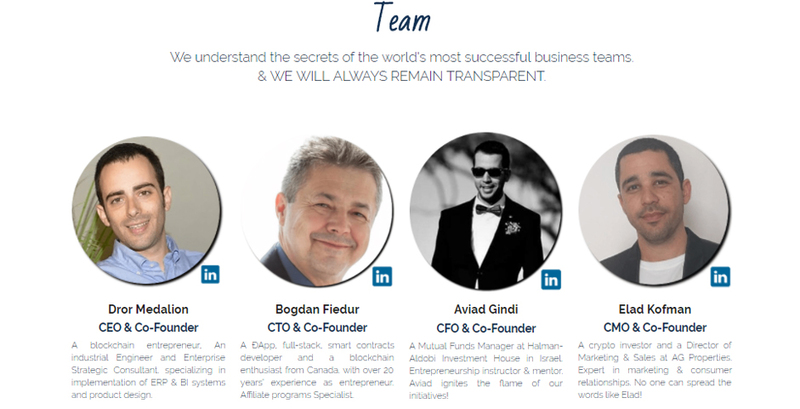 The team is well equipped to facilitate blockchain integration into their project. The demonstration user interface is acceptable, although rather unintuitive. 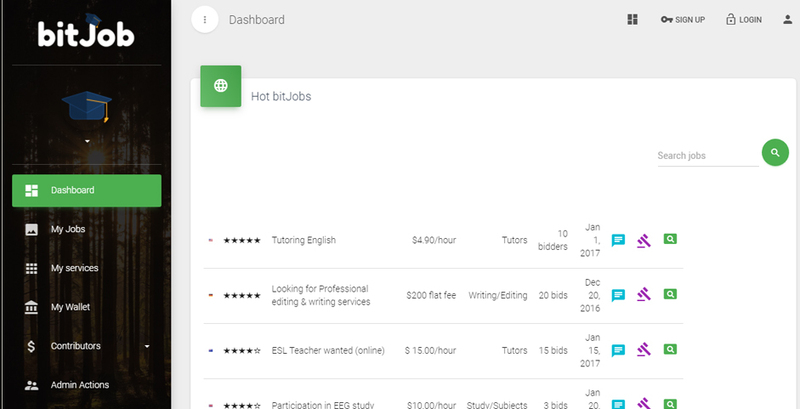 A decentralized P2P marketplace for online short-term jobs for students, freelancers, and employers. The platform will generate revenue through fees applied to both service providers and service consumers. Service providers will have the opportunity to receive immediate payment for their abilities from professional employers. Aimed at revolutionizing the way students make a living and gain occupational experience, bitJob will offer students the opportunity to earn income and sharpen their skills while enriching their resumé, all within bitJob's blockchain-based ecosystem of networking, compensation, rewards, and incentives. 1. Blockchain technology not necessarily needed for this project. bitJob isn't really dependent on blockchain nor does it benefit the project in a spectacular way. The company even admits it in their whitepaper. Tapping into the the job seekers market will be difficult, with many popular websites already providing such services, user adoption is sure to be at snails pace. 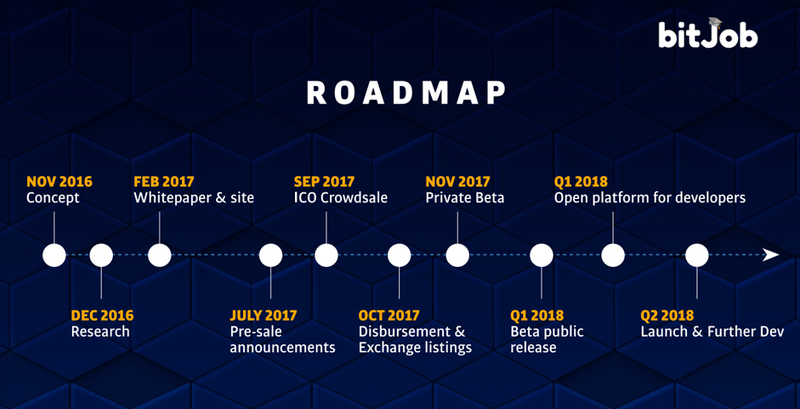 Utilizing blockchain technology is nothing more than a marketing scheme to gain traction and crowdfunding investment, though bitJob remains transparent in this fact which is noted in their whitepaper. Implementing a "credit scoring" mechanism through smart contracts to valuate an individual could prove to be a reliable metric if properly developed. Assuming that the hiring and payment process will be seamless and automated is being facetious, dispute resolution can be a tough battle that will increase business operating costs. The team appears to be poised for success, if a usable product can gain traction in their intended student demographic then the only thing standing in the way is the obscene amount of competition from websites such as Indeed, Monster, LinkedIn, and Glassdoor.